tpdnews: Update: Arrest made in Assault case resulting in serious bodily injury. Update: Arrest made in Assault case resulting in serious bodily injury. On June 1, 2018 we displayed several photographs of person's of interest relative to an Assault & Battery with serious bodily injury investigation. 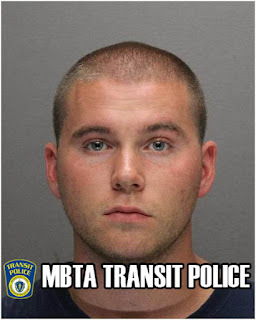 (Please see posting here) As a direct result of numerous tips from members of our MBTA community on Friday June 8, 2018 Kerrick Pierce, 23, of Pembroke was placed into custody by Transit Police detectives for Assault & Battery resulting in serious bodily injury. The investigation is ongoing and more arrests/charges are expected. We will update as that happens. As always we are extremely grateful for all the tips that came in. They were invaluable !! Fare evader damages gates. Recognize him ? Boston man caught in the act of stealing bicycle. T employee arrested for theft. 2nd Suspect identified Arrest Warrant issued.